Howdy all! Welcome to August. I hope everyone's summer has been decent, despite the rain/drought/rain-drought/drought-rain. By now I'm sure the kiddies are getting restless, so I thought I'd whip up some TAoOM fun for the days when your stuck inside 'cuz it's too hot/wet to go outside. 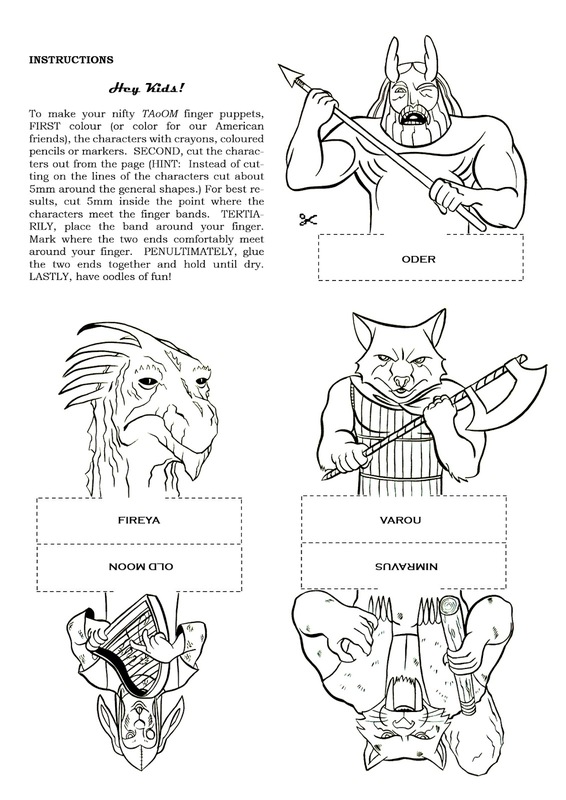 SO, here you are you lucky so-and-so, your very own TAoOM finger puppets to color and cut-out for endless hours of your very own annals. Enjoy, and feel free to share any of your masterpieces with all of us here at the Annals! 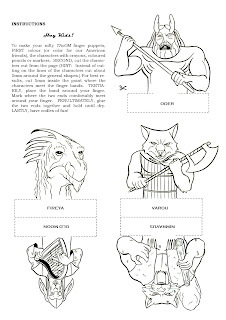 If you'd prefer the puppets in PDF, here they are.